Two final tables in one day, at the same venue? 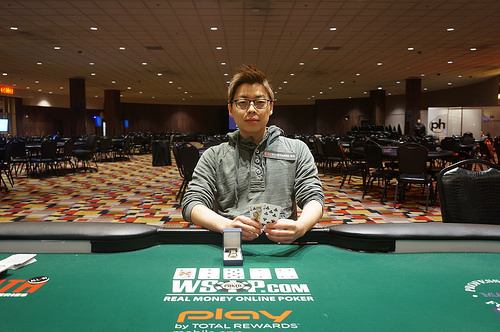 Joseph Cheong began his Monday poker session with an 8th place finish ($22,436) in the WSOP Circuit Main Event at Planet Hollywood in Las Vegas, a tournament won by reigning WPT Player of the Year Ben Zamani, and finished it with title in the $2,200 high roller for $65,399. Cheong’s main goal for the day was to win a replacement Circuit ring for the one he recently had stolen from his car at a valet. He won his first and only WSOPC event in a $340 buy-in tournament in San Diego in 2010, but no longer has the jewelry to prove it. 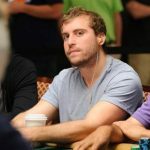 After being eliminated from the Main Event early in the day Monday, he sought another opportunity to replace his missing ring and entered the $2,200 buy-in high roller, a tournament that had 109 participants. It didn’t take long for the former WSOP November Niner to hit some hands in the high roller. He ran his starting stack of 25,000 up to over 100,000 by the end of the first level. When the final table was achieved, the 3rd place finisher in the 2010 WSOP Main Event had an average sized stack at around 400,000. 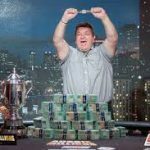 And he was set to face a tough lineup that included Ankush Mandavia and Eric Baldwin, two players with more than $4.5 million in lifetime live tournament winnings, although both pale in comparison to the $12 million Cheong has won. Mandavia was the first to go at the final table, busting in 9th place ($5,616) when he lost a race to eventual runner-up Hyon Kim. Baldwin ran into Cheong’s pocket aces and was eliminated in 4th place ($20,906). When heads-up play began, Cheong had a 4-1 chip advantage over Kim and never relinquished that lead. He scooped his second career WSOP Circuit ring. And, hopefully, this one won’t get stolen. Reigning WPT Player of the Year Ben Zamani also had a big day at Planet Hollywood on Monday, scooping the $1,675 buy-in Main Event for $192,152, his first Circuit ring to go with his two WSOP bracelets. Zamani outlasted a field of 610 players over three days and now has over $4.7 million in lifetime live tournament winnings, good for 11thall-time among Florida natives. Oddly enough, similar to Phil Hellmuth, one of the few accomplishments missing from Zamani’s poker resume is a WPT title. 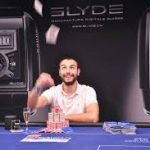 During the 2016-2017 season, he won POY after making three final table appearances including two 2nd place finishes, but hasn’t been able to get over the hump to win one. We have a feeling that day will come soon.